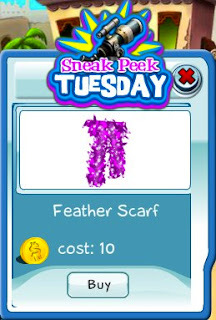 This week's Sneak Peek Tuesday item is the Feather Scarf. This is coolest scarf ever, perfect for a lot of different outfits! So get one today before the sneak peek ends!